– hEx: inverting geometry, a performance installation by the rubberbodies collective, featuring an interactive video stream, will be opening to the public on Friday 28 September as a part of the seminal Science in the City festival. Their live performance can only be experienced for one hour from 8pm till 9pm in the upper galleries at St. James Cavalier. Many researchers from various scientific and artistic disciplines will participate and present a number of activities as a part of the Science in the City festival to emphasize the importance of active research and creative innovation in our daily lives. This festival of science and art, forms part of the pan-European event Researchers’ Night which takes place in more than 32 countries on the same day. Over the last few months, artists from the rubberbodies collective have been developing their project in response to auxetic materials, in communication with material researcher Daphne Attard. Auxetic materials defy our logic and expand when stretched. The artists will now present their reflections and responses. For their exploration, the rubberbodies collective took the structural forms present in auxetic materials as the impetus for their reflections. Those structures cause the material’s unusual behavior, such as when auxetic foam expands or compresses in all directions simultaneously. Contrary to common materials, squeezing auxetic foam will not make it bulge and stretching will make it fatter. There are perhaps a number of auxetic materials available but one will find that they are typically man-made. The rubberbodies decided to articulate their ideas on this subject through body movement, through film, and through an interactive video. Two performers present a looping set of movements, drawing on the visual architectures that can be found on a cellular level within auxetic materials. Each movement that causes the performer to traverse through physical space is watched and interpreted into a virtual space. The performers virtual body then moves through a responsive and reforming linear geometrical environment. The virtual environment presents forms, structures that the virtual body then pressures, inverts, deconstructs and constructs as a consequence its movement. The visual spectacle is accompanied by a sound piece by the Brazilian artist Andre Borges. Members of the public are invited to spend time interacting with the artwork following the live performance. Through -hEx: inverting geometry, the rubberbodies collective offer an alternative perspective on this subject. The collective hopes that their work will inspire young and old visitors to the installation to think differently about the world that they live in. Whilst -hEx: inverting geometry, offers audiences something unusual there are many real world applications for auxetics. Auxetics may prove useful in applications such as body armour, packing material, knee and elbow pads, robust shock absorbing material, and sponge mops. At the University of Malta, Prof. Joseph N. Grima leads a research group working on auxetic materials. 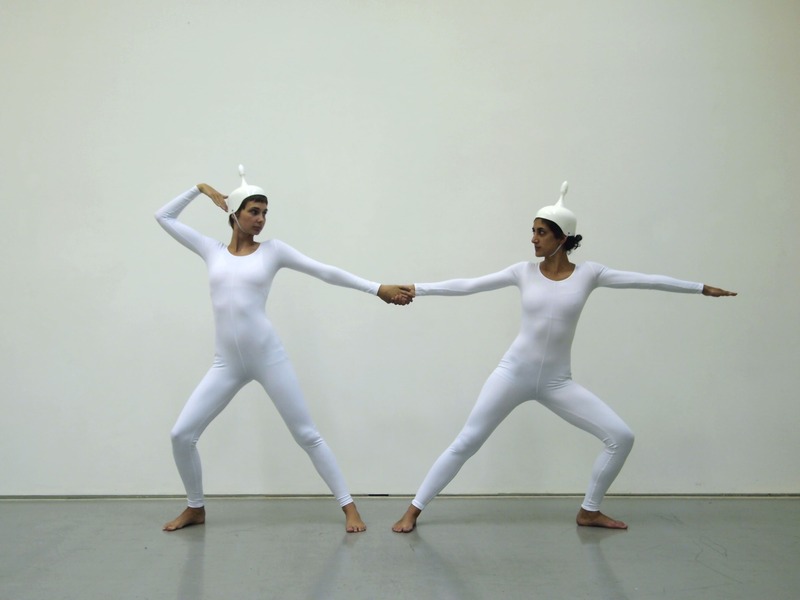 The rubberbodies collective is a multi-disciplinary artist collective based in Malta. The group strives to transform thoughts into actions and through the interchange of ideas, and exploration of cultural inheritance, attempts to bring people together. The artists of the rubberbodies collective involved in –hEx are Rebecca Camilleri, Anthony Askew and Ira Melkonyan. The video and performance installation will be part of the exhibition “How?” curated by Lily Agius at the Upper Galleries in St James Cavalier. ‘Science in the City’ festival is supported by the EU FP7 Programme and the Malta Arts Fund. The event is coordinated by The University of Malta, in partnership with the Valletta Local Council, MEUSAC, Malta Council for Science and Technology,MaltaCouncil for Culture and the Arts, Where’s Everybody, Malta Chamber of Scientists, Notte Bianca, iCreatemotion, Lily Agius Gallery, St James Cavalier, Microsoft Innovation CentreMalta, and the University’s Research, Innovation and Development Trust (RIDT).